On December 12th of 2015, 196 countries signed the Paris Agreement at the 21st Conference of the Parties (COP21) of the United Nations Framework Convention on Climate Change (UNFCCC). This agreement is the result of years of negotiations between nations and incorporates differing perspectives on responsibilities and ways to address the biggest challenge of our generation, namely climate change. The document explicitly mentions that countries should hold “the increase in the global average temperature to well below 2 °C above preindustrial levels and pursuing efforts to limit the temperature increase to 1.5 °C”. This noble target is currently not reflected in the Intended Nationally Determined Contributions (INDCs) that detail scenarios of greenhouse gases (GHG) emissions reductions per sector for each individual country. Many pundits interpreted the Paris Agreement as an unprecedented achievement from the diplomatic world and a solid basis for translation into national law. However, the voice of critical experts could also be heard loudly after the agreement. Apart from criticism about the non-legally binding element of key sections in the agreement and not addressing the mechanisms of loss-and-damage as well as carbon taxation sufficiently, COP21 did not succeed in making the deal appealing to all people irrespective of their moral beliefs on how to value “the environment”. Indeed, climate can be characterized in the vocabulary of economics as a public good. As such, fighting anthropogenic climate change is an aggregate effort that profits little to the entities that bear the costs on a defined period. The point of this article is to expose the enormous potential impacts of COP21 on a short and medium term basis on the social agents that have the power to enforce it. The following sections will give an overview of theoretically possible implications of a widespread enforcement of the Paris Agreement. We assume that this overview can be beneficial to influence global and individual actions, even though some effects are unlikely to occur in the described way when translated into specific contexts. Healthy food and water could be more abundant and cheaper. Agricultural lands and aquifers are simultaneously threatened by desertification and by increasingly unpredictable rainfalls, two issues that are intrinsically linked with the climate. The medium-term demographic pressure in particularly affected areas such as the Nile region in Eastern Africa implies that emergency issues will be more systematic and arduous to solve, and thus keeping a sufficiently large source of food and water is even more fundamental. Better medicines to cure conventional and newly appeared diseases. Controlling the anthropogenic effects on climate has strong benefits on biodiversity (Hance, J., 2016). Biodiversity has a fantastic pool of unknown molecules that is still to be tested by researchers and could provide a basis for new medicines. Destroying this pool before discovering its entire wealth would directly threaten our ability to face the diseases that will hit humanity in the medium-term. Acting strongly on climate change issues as well as protecting the last old-growth forests could thus preserve the foundation to discover new drugs and cosmetics. Risks of contracting non-communicable diseases could potentially be reduced. A combined switch to low-carbon technologies in the energy and transport sectors will generate a reduction in emissions, concentrations and exposure to atmospheric pollutants such as the notorious PM 2.5 particulate matter but also black carbon, NOx, SOx, ozone… this move will among others decrease the environmental factors which cause cardiovascular and respiratory infections like high systolic blood pressure or asthma. Shifting from motorized engines to active travel modes like walking and cycling in urban areas will also benefit the users in those two matters. These results were found both in developed and developing countries (Laverty, et al., 2015). The conclusions of other scholars suggest that this switch would also hamper mental health and noise-stress determinants (Stansfeld, S. A., 2015). Participating in the safeguard of sufficiently large habitats for human communities. Climate change induces sea-level rise and more meteorological extreme events that respectively threaten a majority of the world’s population and cause deadly tolls due to existing vulnerabilities. It is worth mentioning that climate change only accounts for one of the planetary boundaries as theorized by Rockstrom et al that currently threatens human habitats. We acknowledge that addressing climate change is essential, but that only comprehensive global approaches that focus on inequalities and other hazards to a healthy planet, as defined by Rockstrom et. al, can safeguard a healthy habitat for humans and other species on the earth. These health benefits in turn cause a reduced burden on insurance and health systems costs and increased income per capita. That leads us to our next point. Coming back to the theory of environmental economics, the economy, which is part of broader social activities, relies on several environmental functions provided by the Earth ecosystems in which it develops. The environmental functions include the availability of natural resources, the capacity of absorbing waste and space on which to settle. It also comprises the greenhouse effect that prevents us from being burnt by the sun’s rays by maintaining a certain atmospheric temperature. As such, physical and virtual flows are constantly exchanged between the economy and the environment. The indirect effects of the economy on society and the environment are called externalities and can be either positive or negative. A fundamental difference between the economy and the environment is that the economy is a social construct with blurred boundaries while the environment as defined here is delimited to the planet and does not need the economy per se to sustain itself. A ripple effect with potentially increased job creation and financial redistribution. Switching to a less carbon-intensive economy requires a modern Apollo Programme in several technologies at a global scale. Even though innovation is endogenously destructive as per the previous dominant technologies, the huge flows of money invested in renewables, nuclear or carbon capture and storage (CCS) technologies, could be applied in every country and could require hundreds of thousands of workers per country to be implemented and monitored. This shift also offers another opportunity to rebound over the depletion of fossil fuel reserves and global prices volatility in oil-producing countries like Mexico, the United Kingdom or Saudi Arabia, rather than starting to extract non-conventional fuels. Additionally, energy savings will create revenue in net energy-importing countries. Although there might not be an intrinsic value in technological progress, a successful outcome of a global shift of investments into greener solutions could bring higher diffusion of new technologies and associated lower costs. In that sense, the Paris Agreement sends “a clear signal to business and investors to prepare for a lower carbon future” and to public and private institutions (Tomlinson and Bailey, 2015). This process is already on track with PV solar panels, that are already cheaper than other sources of energy, according to UCL Professor Paul Ekins (UCL, 2016) this is the case in England. Counterproductive in this regard is that most countries in the world still grant billions of dollars to maintain their oil industries profitable (Coady, et al., N.A.). These vast financial flows could be redirected to foster employment in the renewable energy sector and finance research. In a nutshell, the opportunity that COP21 is opening in terms of emission taxations and the implementation of carbon markets could trigger a new global economic cycle. Enhanced local activity, strengthening communities in front of globalizing trends. There may be community-scaled developments due to technological solutions favouring non-centralized productions, such as microgrids. Moreover, cycling cities such as Seattle or Amsterdam enjoy enhanced “urban economies” thanks to the fact that cyclists shop local and can spend more thanks to fuel savings (Rowe, K., 2013). It is true that some countries will achieve a competitive advantage on specific markets, for example the dominance of the Chinese solar industry. But this enhanced global competition triggers a significant reduction of costs for renewable energy technologies. In comparison to investments in traditional fossil fuel powered energy production, which can broadly be outlined as tending to contain low investment and high maintenance costs, the renewable technologies demand a higher initial investment, whereas the maintenance costs are lower. Renewables also allow a decentralisation of energy generation and, thus, decrease dependencies of local communities. Less uncertainty for businesses and better financing conditions. With a decreased reliance on world prices, incorporation of emission taxation, and less environmental hazards, some economic sectors could improve their long-term strategic planning and reduce investment uncertainties. This in theory too, could lead to more stability in economic sectors or even finance markets, if other influential factors on economic markets are excluded. Mark Carney, director of the Bank of England, reaffirmed such views last year by stressing the need to reconcile short and long term business aspirations (Carney, M., 2015). Economic growth does not harm the environment in itself (even though experience shows that it has nearly always been the case), as long as there is a disconnection between the use of resources and economic output. Proof that the United Nations system can work! Prevent traditional societies from environmental changes that would threaten their way of life. The implementation of the Paris Agreement would acknowledge in international law, the concept of climate justice to some degree. For the first time since the Kyoto protocol a global agreement acknowledges the right of future generations to live in a relatively not-afflicted climate. The agreement furthermore is constructed in a way that all countries will be involved in climate action through the principal of common but differentiated responsibilities. This concept involves all countries, and its citizens, to reduce carbon emissions, but acknowledges that, for example developing countries will not have the same ability to decrease emissions without reducing their chances to develop economically. Some people would claim that this principle leads to more climate justice, as major polluting countries are obliged to bigger efforts and have to pay weaker and non-emitting countries to reach their targets. International climate finance acknowledged in the Paris Agreement, will include a payment from industrialised to developing countries of 100 billion USD per annum from 2020 onwards. This article showed some potential impacts of the implementation of the Paris Agreement. The main deduction from this attempt is that climate-centrism as a didactical choice to deal with climate itself is not the more accurate way to trigger change (Vazquez-Rowe, et al., 2015). Academics and policy-makers must therefore take more consideration of health, economics and other trends into account when setting up tools and strategies. Having the people involved will be particularly necessary to actually achieve the 1.5 °C to 2 °C temperature increase target, from which cumulated INDCs are still very far. The social choice that is entailed in the Agreement does indeed mean that pressure by civil society is fundamental in going beyond the UN ceremonies, as Lord Ashcroft, an experienced UK scientist and climate diplomat, pointed out recently. In a remake of Common Sense by Thomas Paine, the participation of society at a global scale is, at a critical historical momentum, required to dispose of out-dated trends once and for all. Koehl, A and Hess, J. S., 2016. Potential non-environmental benefits of the COP21 Paris Agreement and why it could be important for you. [Online]. 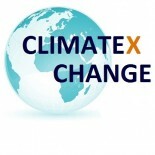 Available at: https://climate-exchange.org/2016/02/09/potential-non-environmental-benefits-of-the-cop21-paris-agreement-and-why-it-could-be-important-for-you/ [date accessed]. This entry was posted on February 9, 2016 by Janto S. Hess in Climate Change Adaptation, Climate Change Negotiations, Uncategorized.